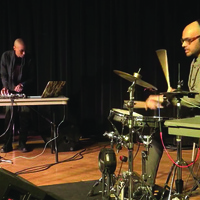 Creating "funky fusion" (BBC), Haitian electronic music composer/percussionist/turntablist Val Jeanty and percussionist/composer/electronic musician Ravish Momin combine ritual, improvisation, global rhythms, and music-technology. The Georgetown University Friday Music Series features acclaimed artists in free concerts at 1:15 p.m. on select Fridays. GREAT & awe-inspiring! More diverse music & events such as this is much needed & appreciated.